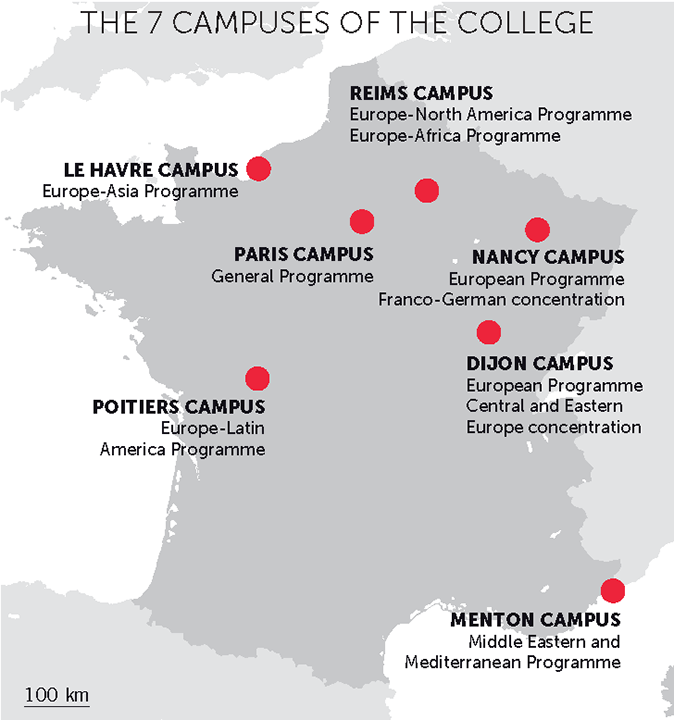 The Undegraduate College comprises seven campuses: Dijon, Le Havre, Menton, Nancy, Paris, Poitiers and Reims. All students follow a core curriculum in the social sciences. They choose a multidisciplinary major in second year and pursue their major abroad in third year. Programmes on all campuses lead to a Bachelor of Arts degree. The Paris campus offers a general programme and three dual degrees: with Université Paris 1 Panthéon-Sorbonne in applied mathematics, Sorbonne Université (faculté de lettres) in history, literature or philosophy, and Sorbonne Université (faculté des sciences et ingénierie) in mathematics, physics, biology or chemistry. Reims: North America or Africa. These specialisations enable students to delve deeper into the contemporary political, economic and social issues of the region in question through specific disciplinary and language courses, international study trips and input from researchers or professionals specialised in the themes being covered. International dual degrees are offered on every campus. Over half the student body on each campus is international, making them places of vibrant intellectual, social and cross-cultural exchange. Students are encouraged to take part in numerous events—conferences, debates, artistic and sporting events, etc.—and initiate projects that engage with the wider community, often in collaboration with local institutions. How do I register? What will my schedule look like? Who can help me find a studio? 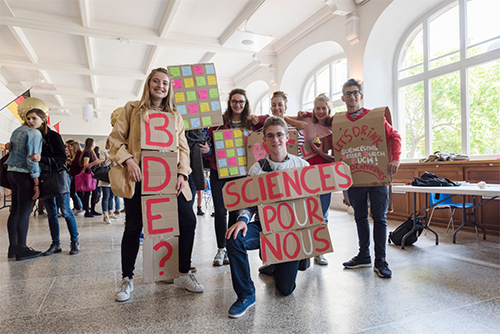 Sciences Po helps students with these and other issues.